AMDA | AMDA News - Julie Furrer Books Equity Contract at the MUNY Theatre in St. Louis! Julie Furrer Books Equity Contract at the MUNY Theatre in St. Louis! 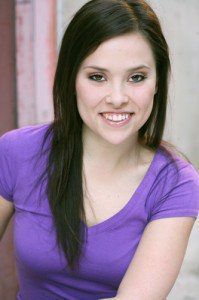 Congratulations to alumna Julie Furrer who just graduated with a BFA in Dance Theatre-Spring 2012 and booked her first professional job at the MUNY in St. Louis, Missouri - before graduating! Just one week after receiving her diploma from AMDA, Julie was in rehearsals as Equity ensemble for Thoroughly Modern Millie at the MUNY alongside Broadway greats Leslie Uggams (Broadway: Tony winner for Hallelujah, Baby!, King Hedley II, Anything Goes, Jerry's Girls, Blues in the Night and Her First Roman) who is reprising her Broadway role as Muzzy, Beth Leavel as Mrs. Meers (Broadway: Tony winner for The Drowsy Chaperone, 42nd Street, Crazy for You) and Tari Kelly as Millie (Broadway: Anything Goes, Little Shop of Horrors, Cabaret, Show Boat, The Boy From Oz). The show opens tonight, June 18th and runs through June 24th. When asked what it felt like to be on stage in a professional show this quickly after graduating, Julie replied..."I had to pinch myself a few times realizing I was working alongside Leslie Uggams and chatting with Tony Award Winning Beth Leavel in between rehearsing scenes. The entire show was choreographed, learned, up and running in 10 days. The magnitude of focus and work that went behind putting 'Millie' on it's feet was unreal but of course when you have Broadway Pros like that, how could it not!" The MUNY, also known as The Municipal Theatre Association of St. Louis, is the oldest and largest outdoor amphitheatre in the U.S. seating 11,000 people total and allotting 1,500 free seats in the last nine rows. Julie will also perform in the MUNY’s upcoming production of Disney’s Aladdin from July 5-15. Further information and tickets.